Do you want to retire in a state that’s warm throughout most of the year but don’t want to pay high prices in terms of cost of living like in California or Hawaii? Louisiana is the state for you! Among other things, this state is famous for having the lowest electrical bill costs in the whole nation, with plenty of options when it comes to food. Getting to know the state before you move there is a sound plan. In this article, we have collected information about Louisiana’s senior living options, be it independent living facilities or assisted care. You’ll also find information about the senior living costs, facilities, and benefits that you will encounter once you get here. If you have already decided on what city you’d like to retire to in Louisiana, feel free to use the list of cities below and find the closes senior living option to the city of your choice. 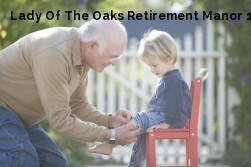 Louisiana has a housing index of 89.90, making it one of the more affordable states for retirement in the nation. One-bedroom apartments have an average monthly cost of $664, compared to the national average of $825. Two-bedroom apartments have an average monthly cost of $811, compared to the national average of $1,027. The cost of living for seniors in Louisiana is also very affordable, when compared to the national average. An example of that are the home healthcare costs of about $2,860 per month. This senior living option allows seniors to receive help with housecleaning and finishing daily tasks by a professional caregiver while still staying at their own home. The prices for adult daycare in Louisiana are also affordable. For the average monthly cost of about $1,354, seniors are given access to housing at a supervised facility during daytime where they can socialize while their primary caregivers are taking care of their own daily chores and obligations. This type of senior care doesn’t include extensive care, so it’s best suited for seniors that are still mostly active and healthy, but still need some sort of supervision. Louisiana is also home to assisted living facilities that provide seniors with help with their daily tasks. The average monthly cost for assisted living facilities in Louisiana is $3,293, and for this price, seniors’ primary caregivers will be at ease of mind knowing that their elder is provided with all the personal care and health services that they require. Seniors that need ‘round the clock care and supervision should take a look at nursing homes where professional caregivers provide residents assistance with medications, personal care, supervision, therapy and rehabilitation, and much more. The price for nursing home might be high, but they are worth every penny, and especially if the senior can’t receive the needed level of care and supervision by their primary caregiver. Semi-private rooms in Louisiana have an average monthly cost of about $5,171, while seniors that prefer more privacy can get a private room for the average monthly cost of around $5,475. If your dream retirement place has a comfortable climate and low prices, Louisiana has you covered! 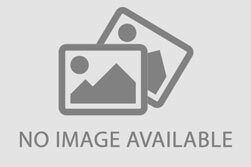 Below, you will find information about the benefits that await you once you move to Louisiana. The state is full of landmarks and historical sites that can’t be seen anywhere else. The world-famous Mississippi River, known for its crucial part in the development of the whole nation can be found to the east. New Orleans’s rich culture and lively traditions will make you think you’ve moved countries and the oak trees that can be found in Louisiana have been around for hundreds of years, providing marvelous sights when they branch out to all directions. Louisiana is considered to be the home of Cajun food, an exceptionally flavorful and distinct dish that can be a tad spicy. The state also has Creole foods, a mix of several ethnic foods which include Haitian, German, Irish, and Italian dishes. There are also marvelous seafood dishes in Louisiana because the state borders the Gulf of Mexico and the Mississippi river. To put it simply, the food in Louisiana is like nowhere else. Retirees will be pleased to know that Louisiana doesn’t have any taxes on Social Security income and public pension income, while private pensions are only partially taxed, along with withdrawals from retirement accounts. Also, the marginal state tax is as low as 2%. Seniors living in Louisiana will notice the increase of money on their bank accounts due to the tax-friendly nature of this state. Seniors that choose Louisiana as their retirement state have plenty of senior living options to choose from. 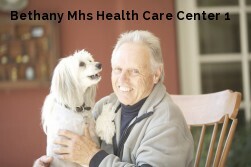 These include independent living, assisted living, memory care, and nursing homecare. Every one of these senior living options provide different kinds of care and amenities so keep reading to find out more about each of them so as to better decide which one is better suited for your health and lifestyle needs. Louisiana has over 70 independent living facilities for seniors to pick and choose from. Independent living is a senior living option used by seniors that are still mostly active and healthy, without the need for ‘round the clock nursing care. Seniors that would rather stay in an apartment can choose to stay in a senior apartment community, where they will be surrounded by their peers and enjoy the many amenities that they have to offer: walking and hiking trails, gyms, pools and jacuzzies, social activities, and much more. Independent living facilities in Louisiana have an average monthly cost range from $1,127 to $3,168. There are more than 190 assisted living facilities scattered all over the state. This type of senior living is best suited for seniors that need skilled caregivers, healthcare, and access to social and local activities allowing them to feel right at home. The staff at assisted living facilities give their best to make sure their residents are getting all the attention and help they need with housekeeping, laundry services, transport, safety surveillance, and much more. Assisted living facilities in Louisiana have an average monthly cost range from $2,050 to $5,760, often determined by the location of the facility, level of care needed, and other factors. 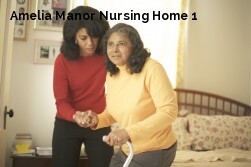 The more affordable facilities are located in Monroe and its surrounding areas, while the most expensive assisted living facilities can be found in the Hammond area. Seniors struggling with Alzheimer’s and other dementia-related ailments, and their primary caregivers are well-aware of the hardships and stressful moments that this type of illness can bring. Because of this, specially-designed memory care centers have been established with the purpose of providing specialized care to reduce the stress brought upon by dementia. The facilities are designed in such a way as to minimize the risk of seniors getting lost and the subsequent feeling of hopelessness. 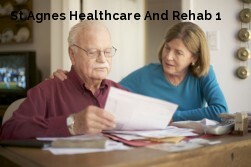 Memory care centers in Louisiana have an average annual cost of $54,918, compared to the national average of $60,900. These centers are equipped with staff that is available 24/7 and provide seniors with help with whatever they might need and calm them down when the residents forget where they are due to memory loss. There are over 600 senior living providers in Louisiana, providing seniors with all they need in terms of socialization and medical care, regardless of their illness and need of assistance. Adult daycare centers located in Louisiana provide assistance to seniors by giving them access to a safe environment where they can socialize with their peers, receive meals on regular basis, participate in social activities, and are regularly provided with the needed medications. Louisiana is a home to 7 such centers, with an average annual cost of $14,300, a price that is pretty cheaper than the national average. Seniors that have been diagnosed with terminal illness can find solace in hospices that specialize in end-of-life care. These facilities work towards lowering the emotional and physical pain that come when we approach the end of our lives. Louisiana has 157 hospices located all over the state, a large number of them located in the southern parts of the state. Each of these hospices provide customized care for every senior that resides within. The price shouldn’t be much of an issue since the costs for hospice care are mostly or fully covered by Medicaid, Medicare, and private insurances. Hospices also provide grief counseling for both the senior and his/her family in order to better cope with the emotional pain that comes when one’s nearing their death. Another form of nursing homecare is respite care, and Louisiana is home to 190 respite care facilities, so seniors and their families shouldn’t have much of a problem finding the right one. Respite care facilities provides temporary housing for seniors that require 24/7 care and surveillance, as well as help with daily tasks, personal care, meal preparation, and such. Primary caregivers are often too busy with their own obligations and can’t always provide the level of care and attention that their elders need in order to feel as comfortable and happy as possible. Respite care facilities in Louisiana have an average annual cost of $55,480 – almost half the price of the national average! 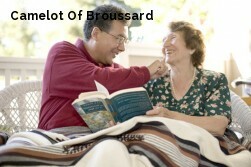 Assisted-living-facilities.net will help you to find the best quality Assisted Living facilities in Louisiana. You can also find skilled nursing, memory care facilities, retirement communities and assisted living regulations in Louisiana. 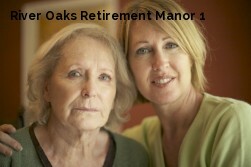 Here you can compare ratings and check prices and costs for assisted living. Read reviews and more, with the best directory for Assisted Living Facilities. The state of Louisiana has 549 assisted living facilities. If you're searching for information about assisted living communities in Louisiana, you need to look no further! Assisted-living-facilities.net will provide you with the most comprehensive information about the number of 549 assisted living facilities for seniors that are currently available in Louisiana. The assisted living services available in Louisiana include in-home residential and assisted living situations, nursing homes, retirement communities, adult day care, and a range of independent living situations, you can also find Alzheimer's and hospice care. Searching in Assisted-living-facilities.net to find information about Louisiana's assisted living communities is simple! You can use the site in these ways to search and find the assisted living facility or community that is the right one for your needs, and allows you or to your loved one, to live close to friends and family and to enjoy fully. Getting all the support of the amenities that Louisiana has to offer. 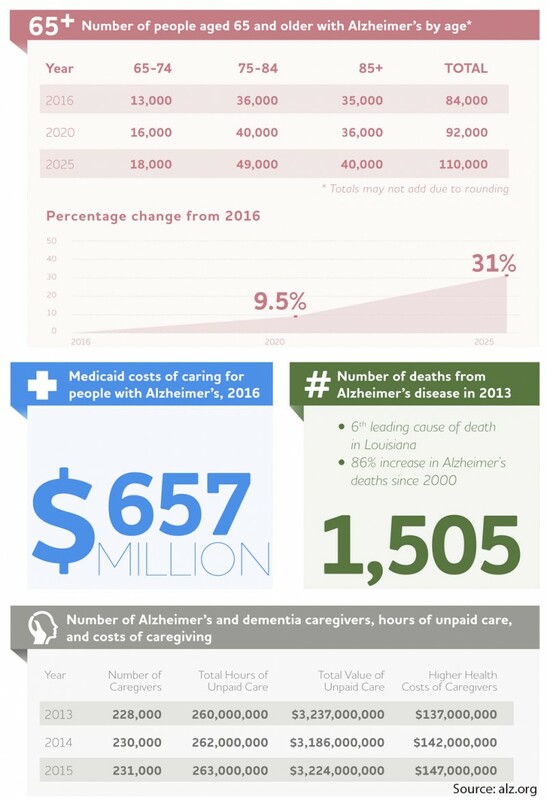 The average monthly starting costs for assisted living facilities in Louisiana (higher for residents requiring memory care) starts and depends on the level of care the resident. The average monthly cost of assisted living in Louisiana starts from $2,100 to $4,400.